The first thing you have to say about the Sabres and where they’re headed is that with Jack Eichel and Sam Reinhart alone you’re probably not going to do too badly for yourself. Just as a starting point, that’s a good nucleus around which to build. But of course the Sabres have long been stockpiling draft picks and prospects and the like in an effort to make sure that the future is brighter than it would have been even when the Ryan Miller-led teams of the mid-to-late 2000s actually had people (i.e. Terry Pegula) thinking a Stanley Cup was a not-at-all-laughable goal. This is what allowed them to go out and acquire Robin Lehner, Evander Kane, and Ryan O’Reilly (the latter of whom has been very good for the Sabres this year). 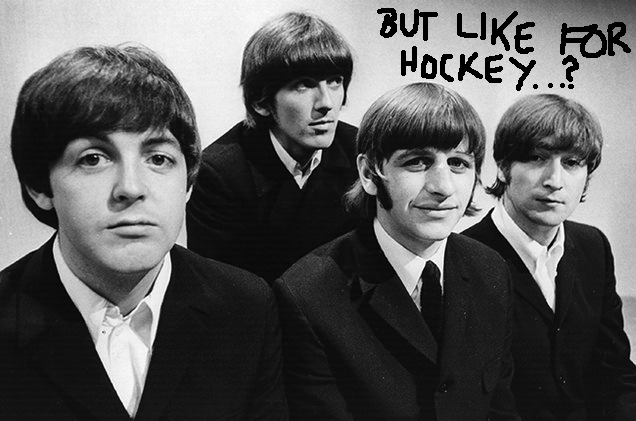 In all, they’ve had 13 players on the NHL roster for much of the year under the age of 26. And that doesn’t include guys like Hudson Fasching, Linus Ullmark, or Casey Nelson, all of whom are likely to be pretty good. Nor does it include whomever they pick in the first round this year with one of their 11(!) picks. Nor the nine(!) more they have in 2017. 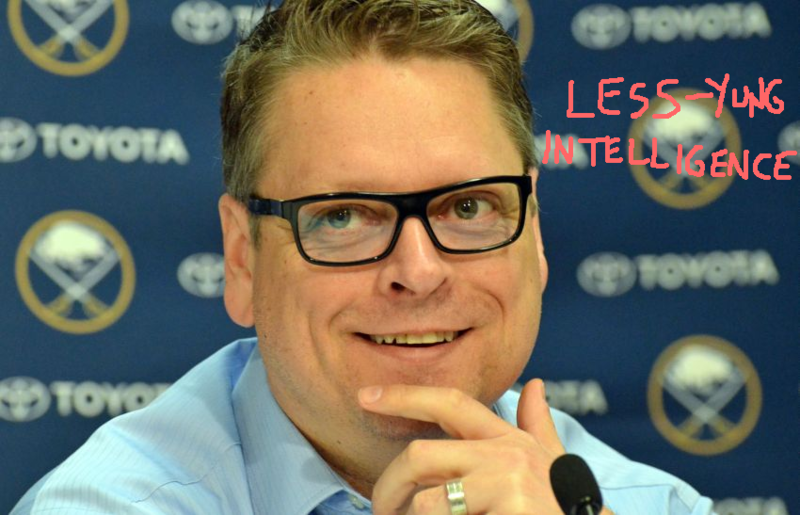 Of course, Tim Murray is a smart GM and has already said that he’s looking to make trades this summer to improve the team’s roster, dealing from a position of strength (organizational depth) to improve one of weakness (NHL depth). The team also has plenty of money to spend and relatively few free agents who need money any time soon, so bringing in a guy on relatively big money — not Steven Stamkos, but something a step below — is an option as well. With so many players under 26, you can already bank on a bunch of them continuing to improve. You can also say goodbye to David Legwand and Carlo Colaiacovo, both of whom were brought in as veteran space-fillers and will be replaced by kids who are equal to or better than them. One imagines that Buffalo might have been one of the clubs to target Nail Yakupov via trade, who’s always played well with good players but more often been shuttled off to the third and fourth lines in Edmonton. But the thing is, Murray could do nothing and with a healthy-all-year Lehner (who has been excellent when fit) still reasonably expect to be more competitive. This is, at long last, a well-run organization that values the right things and makes almost exclusively good decisions and you can trust in the fact that they’re going to add quality to this roster to supplement the growth of their young players. This is not and never will be an Edmonton Oilers situation. Everyone is just too smart for that. Are they a playoff team next year? Tough to say, but it would seem difficult for them to finish with fewer than 85 points if they got a year’s worth of solid goaltending and added just a little more talent. This entry was posted in Fundraisers on March 30, 2016 by lambert.